The Cambridge International AS and A Level Chemistry Workbook with CD-ROM supports students to hone the essential skills of handling data, evaluating information and problem solving through a varied selection of relevant and engaging exercises and exam-style questions. 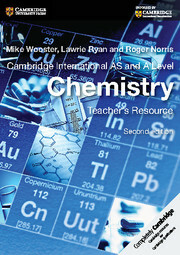 The Workbook is endorsed by Cambridge International Examinations for Learner Support. 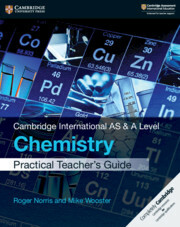 Student-focused scaffolding is provided at relevant points and gradually reduced as the Workbook progresses, to promote confident, independent learning. 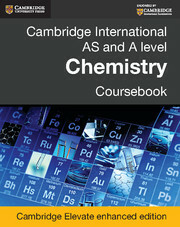 Answers to all exercises and exam-style questions are provided on the CD-ROM for students to use to monitor their own understanding and track their progress through the course. 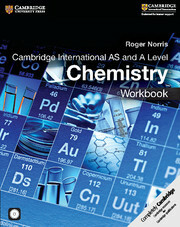 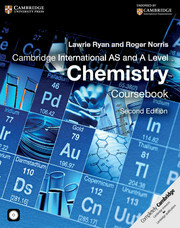 The only dedicated, endorsed Workbook for Cambridge International AS and A Level Chemistry (9701). 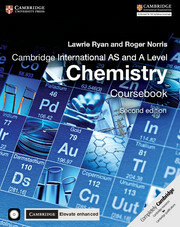 Written to complement the comprehensive third edition of our Cambridge International AS and A Level Chemistry Coursebook.